There isn’t a driver in Tennessee who doesn’t know that driving drunk is against the law – and yet thousands of them continue to do it year after year. Because of drunk drivers, 267 people lost their lives in 2015. 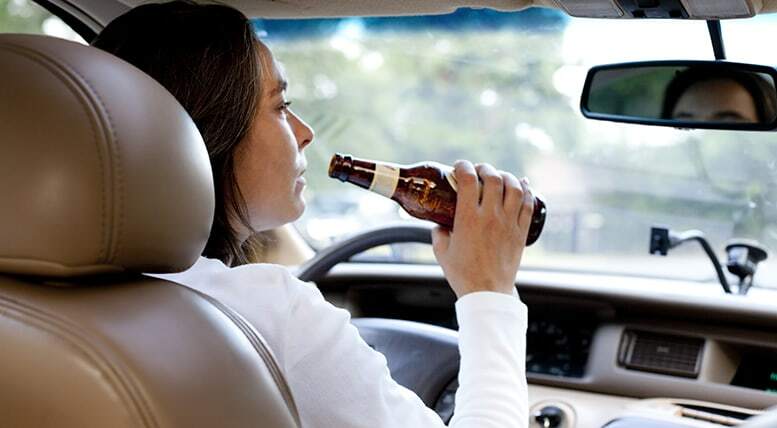 Alcohol contributed to 1,538 auto accidents in Tennessee last year as well. People get hurt every day, and families are ripped apart because of it. At the Rocky McElhaney Law Firm, we hold drunk drivers accountable for their actions. Our skilled auto accident attorneys in Nashville, Hendersonville and Knoxville have successfully represented clients from throughout Tennessee when a drunk or otherwise impaired driver caused a crash that led to an injury. When someone else’s negligence harms you, you want a team of fighters on your side. Let RML be the firm that fights for you. A lot of people believe – wrongly, as it stands – that one or two drinks won’t hurt them or anyone else while they’re on the road. The truth is, even with a blood alcohol concentration of .02%, you are already impaired/ The Centers for Disease Control and Prevention shows us that after one or two drinks, there is a decline in your ability to track a moving target, and to handle two different tasks at once. By the time a driver reaches a .08% BAC, there is a definite decline in motor control, judgment, short-term memory and the ability to detect and avoid danger. This is why drunk drivers can easily miss road signs or street signs, weave in and out of traffic, drift to the side of the road or fail to hit their brakes to avoid hitting another car or truck. Under the most tragic of circumstances, a drunk driver can cause the wrongful death of your loved one. If that worst comes to pass, you need an experienced Nashville auto accident lawyer on your side to help you recover compensation to pay your medical bills, take care of day-to-day expenses, and to protect your family in the future. In the NHTSA’s 2013-2014 National Roadside Survey, “more than 22 percent of drivers tested positive for illegal, prescription, or over-the-counter drugs. Nine out of 10 people 65 years of age and older take one or more prescription drugs, and almost 40 percent take five or more (NCHS, 2014). A 2010 nationwide study of fatal crashes found that 46.5 percent of drivers who tested positive for drugs had used a prescription drug, 36.9 percent had used marijuana, and 9.8 percent had used cocaine. Being hit by an intoxicated or otherwise impaired driver can have life-long repercussions. At RML, our Nashville car crash attorneys understand the serious challenges you face after such an accident. We will fight hard to ensure that you and your loved ones are protected after a collision. Injured in a crash by a drunk driver in Tennessee? Call Rocky for help. Dealing with the after effects of a drunk driving crash is hard; choosing the right lawyer to fight for you shouldn’t be. At the Rocky McElhaney Law Firm, we fight for justice and for fair compensation for auto accident victims in Nashville, Hendersonville, Knoxville, and throughout Tennessee. Call Rocky at 615-246-5549 or fill out our contact form to schedule your free consultation with an experienced Nashville car wreck attorney today.